How Can a Home Health Aide Help Your Elderly Loved Ones? ← What Can You Do to Reduce Stress? When your loved ones are entering their late golden years and are now more susceptible to illness or injury, you may think of having them placed in a facility where they can be properly taken care of, such as a retirement home or a shared residential house. This idea, though, may not sit well with your elderly loved one, as they would prefer to stay in the comforts and familiarity of their own home. Daily personal tasks include activities of daily life which we have to perform for ourselves, to keep ourselves in a clean and healthy state. This includes getting up from bed, bathing, toileting, grooming, dressing, meal preparation, and medication or supplement intake. Your senior loved ones may have difficulty in performing these tasks, so home health aides make sure that they are all achieved with precision and care. Not only do we have to take care of our own bodies, but we also have to maintain proper upkeep of the house which we spend most of our time in, however, housekeeping tasks may be challenging or even dangerous to your senior loved ones. A home health aide, then, can help your senior loved ones in household chores such as washing the dishes and cleaning the house, and errands for groceries and medication. Sustaining their bodies’ needs and taking care of the house are not the only activities that constitute your elderly loved one’s day. They would also have their hobbies, interests, and activities which will allow them to exercise their bodies and minds, and keep them in a happy state. 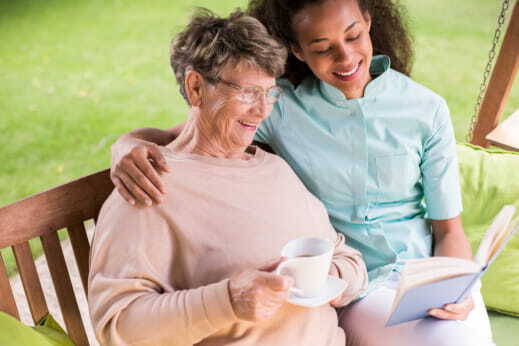 A home health aide can then be companions to your elderly loved ones—making sure that not only are they safe and healthy, but also comfortable and happy. Everything that your elderly loved ones may need in order to keep living safe, healthy, and happy lives can all be done and provided in the comforts of their homes, by qualified and trained professionals. For quality and exceptional home health care in National City, California, trust Healthwise Home Health Care, Inc.
We are a home health care agency in San Diego County, California dedicated to improving the quality of life of senior citizens, and individuals suffering from illness, injury, or disability through our various services which include physical therapy, occupational therapy, speech-language pathology, skilled nursing, and home health aide assistance. For inquiries or to require assistance, talk to us at 619-474-4699 or 619-474-4698. This entry was posted in Home Health Aide and tagged medication, professional care, skilled nursing. Bookmark the permalink.